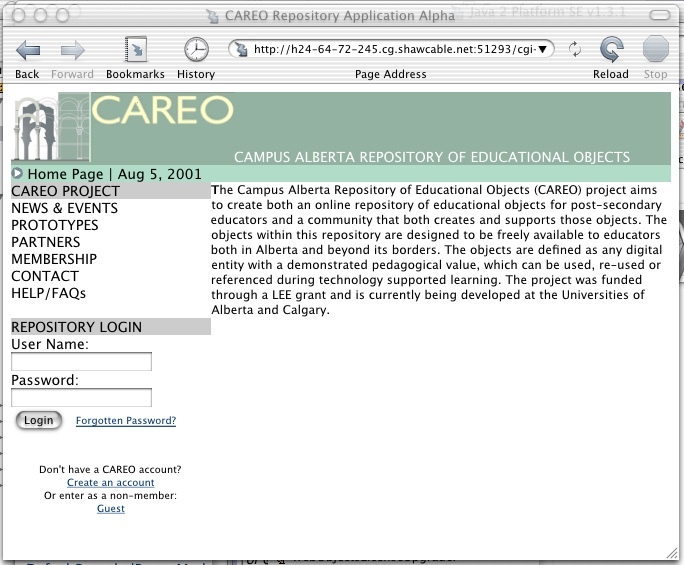 Campus Alberta’s vision is to enable Albertans to “take courses from any college or university in the province, either on-site, on-line from their homes, or on the job.” CAREO’s contribution will be to provide educators with the digital teaching content to make this flexible learning a reality. We will accomplish this not only by providing a location to share and find resources, but also by fostering an online community of educators whose digital materials, expertise, and experience will be exchanged. Although the collected teaching materials will be available to all, those who register as members in this community can contribute their own materials, review existing resources, and contact other members with similar interests. 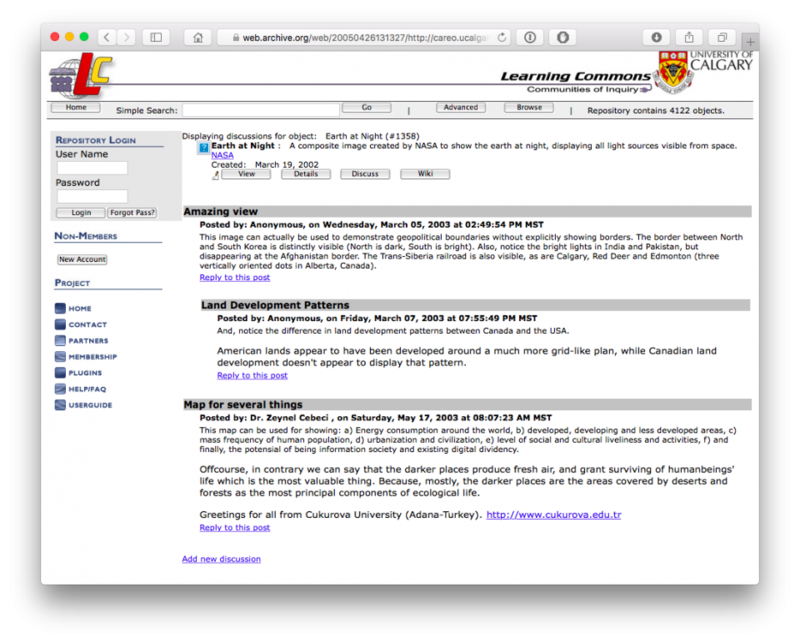 The reuse of modularized educational resources or learning objects. 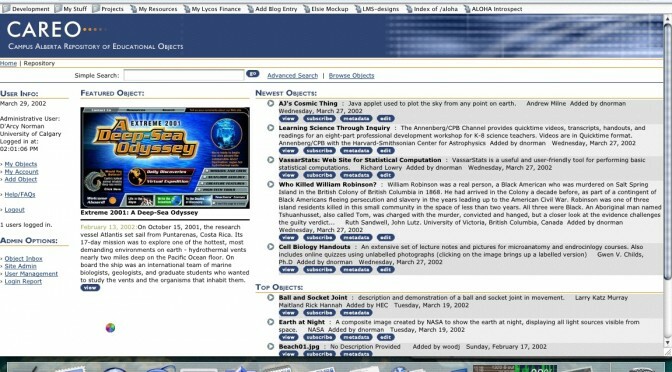 The organization of these resources through standardized metadata. The provision of single-click access to these resources through a distributed repository architecture. The continued development and enhancement of these resources through quality control, peer review, reward and support practices. 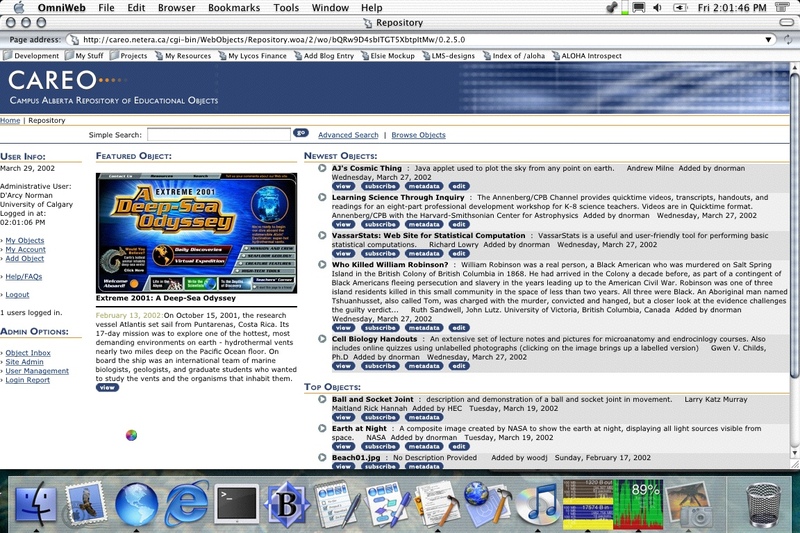 Screenshot of the first experimental build of CAREO in WebObjects. 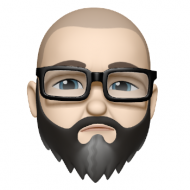 I was just learning WebObjects, so started with the static stuff first. It’s come a LOOONG way.